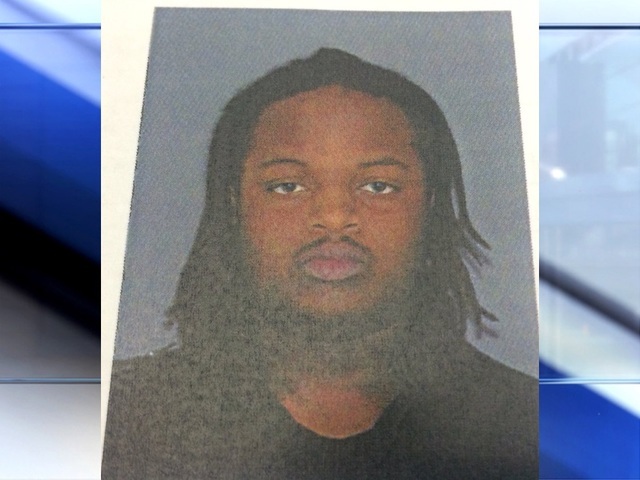 CINCINNATI -- A security guard doing contracted work for North College Hill schools was arrested and charged Wednesday after he told police he made calls to the school that prompted three consecutive bomb threats and school evacuations. 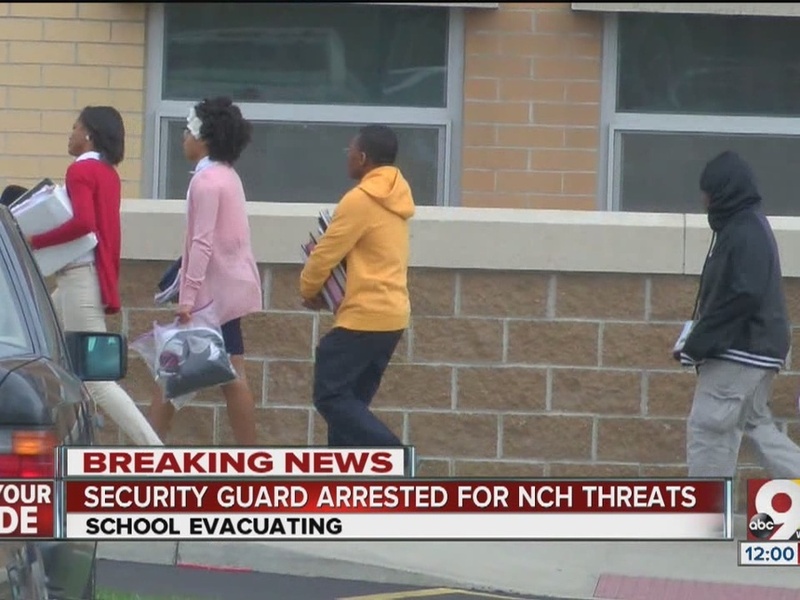 North College Hill Police Chief Ryan Schrand said school security guard Christopher Darnell Files was making threatening calls that led to school evacuations on Monday, Tuesday and Wednesday. Tuesday's call demanded money, Superintendent Gary Gellert said, but the others threatened to bomb the school with no additional demands. "Something to the effect of 'give me money or I'm going to blow up the school,'" Gellert said. "The others just threatened to bomb the schools." Police worked with Cincinnati Bell to try to identify the phone making the calls to the school. The calls were made from Files' cell phone from inside the school, Schrand said. Police called the phone number and located it in the school. When police confronted Files about the phone, Files confessed to making the calls, Schrand said. He said he did not have a bomb in the school. He is charged with three counts of inducing panic. "It's very sad. The world today is quite different," Gellert said. "Things have changed significantly. It used to be that these threats would be written on pieces of paper or on the bathroom stall." Police said Wednesday's school evacuation was precautionary. Schrand said police were concerned when security cameras showed Files in the elementary and middle schools when he was not supposed to be there; he was unaccounted for for about 20 minutes, the chief said. Schools officials said NCH schools previously banned backpacks in a safety effort. Files, a contracted worker, was hired after social media threats caused safety concerns at the school, the superintendent said. "(Files) was brought in because of safety concerns and he ended up causing more safety concerns," Gellert said. Files passed a background check to take the job and has no criminal history, the police chief said said. "I don't know if he was motivated by immaturity or peer pressure -- or possibly peer pressure from all of the recent school threats," Schrand said. District schools were closed for the rest of the day Wednesday, but no students or staff were harmed or in danger, police said. "There's both good and bad that comes out of something like this," the superintendent said. "The kids were great. They helped build each other up. The orderlies were helping kindergartners get their lunches. A high school gym class helped take care of elementary school students. "The kids did great. We had a plan in place and it went well, but the kids looked out for one another." Files appeared in court for arraignment Thursday. A judge set his bond at $200,000.